Amazon's new generation Echo Show comes with hands-free video calling feature, massive 10-inch HD display, Dolby audio system and several other value-added features. American technology giant, Amazon launched the new Echo Show (2nd gen) smart speaker series in India. It comes with lots of upgrade over the predecessor. The Echo Show (2nd gen) made its global debut along with new generation Echo Plus, Echo Dot announced in the September 2018 event in the US. It comes with a fabric design on the back and sports a massive 10-inch vibrant HD display, which will be great watch latest movie trailers, video news bulletins and award-winning TV shows from Amazon Prime Video, or Facebook photos by just asking Alexa with voice commands. Like the non-display Echo speakers, consumers can simply say, ' Alexa, what's the weather?' or even ask the results or scheduled matches of the upcoming Vivo IPL 2019 T20 cricket matches, pull up your shopping list, and also play music in addition to videos. In India, Amazon has incorporated several region-specific value-added features in the Alexa skills. Users can hail a ride from Ola, ask recipes from Sanjeev Kapoor, horoscope from Ganeshaspeaks, wisdom from Sadhguru, news briefing from Aaj Tak, cricket update from ESPN Cricinfo, and more. You can do it by saying just "Alexa, show me skills". As far as the sound system of the new Echo Show is concerned, it comes with eight-microphone array and 'far-field' technology to differentiate the user's voice from ambient sound. The Echo Show screen is complemented by dual, side-firing 2" Neodymium drivers, a passive bass radiator, and Dolby processing to deliver expansive sound with deep, powerful lows, and crisp highs, perfect for listening music. 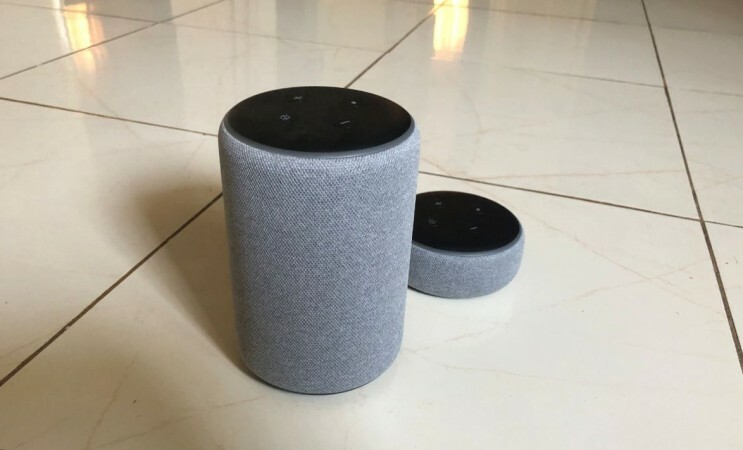 While playing a song, the owner can ask Alexa to adjust the treble, mid, and bass levels, or set up multi-room music to play music across compatible Echo devices throughout the home. Like the Echo Plus (2nd gen), the new Echo Show boasts built-in Zigbee smart home hub, which will enable the user to connect to all supported smart gadgets at home seamlessly. The owner can just say, 'Alexa, discover my devices,' and it will automatically discover and setup compatible light bulbs and plugs without the need for additional hubs or apps. Once set-up, ask the user can ask Alexa to turn on the lights or use the touch-screen to turn devices on and off. Furthermore, the owner can switch on the Alexa-compatible cameras to view a live feed from a camera location without lifting a finger. Just have to say 'Alexa, show the kids' room.' You can also use Alexa Routines to complete multiple tasks, from controlling smart home devices to playing music and getting news information, with a single voice command. 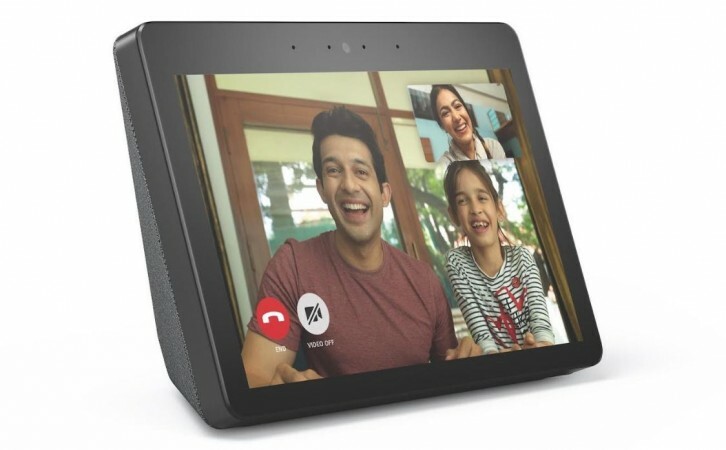 The new Echo Show comes with a 5 MP front-facing camera that supports HD video calling with friends and family, provided they have Echo Spot, Echo Show or the Alexa App on their Apple iPhone, iPad or Android mobile. The owners can also use Skype voice for video calling. Just say, 'Alexa, call mom' or 'Alexa, call Vijay on Skype'. There is also Drop-In feature on supported Echo devices to instantly speak with family, or check in on the kids' room and join their playtime while you are still in office. It also has built-in web browsers that can be opened by saying, 'Alexa, open Silk' or 'Alexa, open Firefox.' You can use the on-screen keyboard on these browsers to type a URL, search and watch web videos, and visit your favourite website. Like other browsers, you can bookmark your favourite websites for easy access. Amazon Echo Show costs Rs 22,999, making it the Amazon's most expensive Echo smart speaker series. Thankfully, Amazon as part of launch offer, it offering free Philips Hue bulb at no additional cost, offer available on Amazon.in and retail stores. Further, customers can claim flat Rs 2,000 cash back on purchase via Citibank debit and credit cards and also, they can buy the Echo Show for as low as Rs 1,917 per month via No-cost EMI across leading banks.